The following is from Tim Whitmarsh’s book, Battling the Gods. Whitmarsh is the A. G. Leventis Professor of Greek Culture at the University of Cambridge. He has also held professorships in the universities of Oxford and Exeter, and a visiting professorship at the University of Chicago. Whitmarh's writing has appeared in the Times Literary Supplement, the London Review of Books, the Guardian, the Observer and the Huffington Post. Athens in 399 BC was a fearsome place to be. In 404 the city had fallen to the Spartans, after 27 bruising years of warfare, sometimes bloody and sometimes attritional. The aftermath was horrific. For thirteen months, the democracy was suspended, and a pro-Spartan oligarchy known as the ‘thirty tyrants’ was installed. Their leaders, Theramenes and Critias (possibly the author of the atheistic ‘Sisyphus fragment’), were famed for their brutality. A faction loyal to the old democracy was identified, arrested and executed. After a while, a power struggle between Critias and Theramenes saw the latter hauled off and killed. In 403, their rule ended when rebellious forces led by the staunch democrat Thrasybulus joined battle near the Piraeus. After more fighting, the democracy was restored. Despite an amnesty forbidding mnēsikakia, ‘the remembering of wrongdoing’, Athens in 399 was scarred and haunted by recent events. This was the backdrop for one of the most important events in Greek cultural and religious history, the trial and execution of Socrates. Socrates, Athens’ most famous philosopher, had found himself reluctantly embroiled in the events of the previous five years. Critias had been one of his students, along with another of the tyrants, Charmides. Both of these were relatives of Plato, Socrates’ star student and later apologist; in fact, two of Plato’s dialogues featuring Socrates are called Critias and Charmides. Certainly Socrates’ relationship to the junta was not unambiguous. He had been mandated, along with others, to arrest one Leon of Salamis; he had refused, however because (according to Plato) he feared committing injustice more than the recriminations that would follow. On that occasion, he was saved by the fall of the tyrants from any repercussions from his principled insubordination. But the stain of association with that hated band, which the Athenians of the newly restored democracy were keen to drive from their memory, was hard to shift. The idea that his association with the tyrants was behind Socrates’ execution stuck around for a long time. But association with the tyrants was not the explicit basis of the charge against Socrates, which ran: ‘Socrates commits a crime in not recognising the gods the state recognises, and introducing other, new divine powers instead. He also commits a crime by corrupting the young’. Diopeithes’ decree providing for the impeachment of ‘those who do not recognise the gods’ lies in the background for the accusation: the shared language of ‘not recognising’ (mē nomizein) suggests this much. The vaguer charge of asebeia, ‘impiety’, was also hanging in the air. But as so often in Athenian criminal prosecution, impressionistic as it was, not everything corresponds exactly to known legislation. ‘Corrupting the young’ was not a crime on the statute book. The additional accusation was no doubt designed to influence the jurors with insinuations: this, after all, was the philosopher who had taught Critias and Charmides (and Alcibiades too) when they were young men. There was also a pederastic hint in the word ‘corrupt’: Socrates was well known for his attachment to handsome youths. For an older man to court a younger boy was not in any sense seen as a moral offence, but it was a practice associated with the aristocratic elite, and so likely to play badly with the largely working-class jurors. Whatever the underlying political motivations, the explicit force of the charge lay in the assertion that he had turned his back on the religion of the city, and invented his own private mysticism. This accusation was rooted in a peculiar foible of Socrates’: he claimed to have access to a daimonion, a ‘divine thing’, which he identified sometimes as a voice in his head and sometimes as a ‘sign from the god’. He was claiming a direct communion with an unspecified deity, a form of divine engagement that in one sense cut right across the usual ideology of Greek religion, which insisted that collective ritual marked one’s subservience to the social order. Believing that gods speak to us was not in itself so very strange: Greeks imagined that gods revealed all sorts of things through dreams, signs, and even direct manifestations (‘epiphanies’). It was the idea of an enduring one-to-one relationship with his own personal deity that was the problem. If Socrates believed that he alone had been granted access to the full depths of the divine, while conventional religion merely paddled in the shallows, that would have been deeply threatening to the civic consensus. Earlier philosophers had claimed similar things: the Presocratic philosopher Parmenides of Elea, for example, describes a journey on a chariot, through a locked gate, to the temple of a goddess who reveals to him the ways of truth and hollow belief. But Parmenides was not unfortunate enough to have to defend this claim in the aftermath of a bloody aristocratic regime spearheaded by some of his followers. Socrates’ (alleged) claim to exclusive access to divine truth could have been presented to his democratically-minded peers as a dangerous attempt to legitimate the rule of the many by the elite. What did Socrates really think about the gods? Did he really ‘not recognise the gods of the city’, as the accusation ran? Did he believe firmly in the ‘divine thing’, or was that simply a whim of this famously ironic philosopher? How did he square this emphasis on divine revelation with his philosophical commitment to rationalism? Barring some remarkable discovery, these questions will never be answered conclusively, for Socrates—like Jesus and Mohammed (and, indeed, several other noted Greek philosophers—wrote nothing down. Every single piece of evidence for him comes mediated through others. What is more, apart from the scurrilous portrait painted by the comic poet Aristophanes in 423 BC (in Clouds), during his lifetime, every major piece of evidence is carefully polished up by one of his loyal supporters, in the aftermath of the trial. Socrates is a paradox: we know all about his central importance to Athenian cultural life in the late fifth century, but there is little certainty about his beliefs. The two most important of these sources for Socrates’ thought are also the two most vigorous polishers of the Socrates myth: Xenophon and Plato. Xenophon (approximately 430-355 BC) was an aristocratic Athenian who combined a diverse literary output with a colourful military life. An associate of Socrates in his youth, he left Athens in the turbulent years after the end of the Thirty Tyrants to join the Greek mercenary force supporting the failed attempt of the Persian Cyrus the Younger to oust his brother, Artaxerxes II, from the throne. His epic march from Mesopotamia to the Black Sea (where the soldiers uttered the famous cry ‘The sea! The sea!’), and thence to Greece, is recorded in his Anabasis. When he returned, he began associating with his native city’s other nemesis, Sparta, and even fought with the Spartan king Agesilaus II against Athens in 394. This loyalty to Sparta won him a beautiful country house at Scillus, near Olympia (site of the games); there he wrote many of his literary works, including a biography of Agesilaus, an idealised novel on the subject of Cyrus I of Persia (the sixth-century creator of the Persian Empire), and four works on Socrates: a fictionalised version of his defence speech at the trial, a collection of conversational pieces, a dialogue on household management and a description of a symposium. Although he may have returned home in his declining years, it is fair to say that Xenophon was far from a conventional Athenian. Whether he had become alienated by the horrors of the Thirty Tyrants and the aftermath (for which his History of Greece is the primary source), or whether he was simply perverse by inclination, he seems to have allied himself with persons most unwelcome to Athenian ideology: Persian kings, Spartan kings, and Socrates. Plato (approximately 424-347 BC), the most famous of all philosophers, was another native Athenian aristocrat, and an almost exact contemporary of Xenophon’s; but whereas Xenophon’s life was characterised by experimentation and adventure, Plato spent most of his adulthood beavering away at his writing (37 works are transmitted under his name, at least 26 of which are genuine). His one big foray into Realpolitik may have been a trip to the court of Dionysius II of Sicily (ruled 367-357 and 346-344). According to a surviving letter that purports to be written by Plato himself, he was invited over to Sicily on two occasions, first by Dionysius’ father (during his own reign) and second (early in the new king’s reign) by his philosophically inclined uncle, Dio. On both occasions, the plan was to curb the young man’s lavish appetites, and to put into practice the Platonic ideal of the ‘philosopher-king’. Dionysius, however, was congenitally indulgent and cruel. Dio was exiled, only to return with an army and depose Dionysius. Whether Plato’s Sicilian sojourn really took place all depends on the question of the authenticity of the letter. In any case, Plato developed a reputation throughout later antiquity as a head-in-the-clouds idealist, as other-worldly as his mentor Socrates himself; and the Sicily story came to be seen as a sign of his inability to translate his ideals into practice. Lucian, the playful satirist of the second century AD, wrote a fantasy story ironically titled The True Stories. In it he visits the underworld, where he meets all of the famous figures of the past, except for Plato ‘it was said that he was living in his imaginary city in the republic and under the laws that he himself had composed’. The joke is on the titles of two of his best known works, the Republic and the Laws, both utopian blueprints for ideal cities. Both Plato and Xenophon wrote Apologies, accounts of the trial of Socrates. Convergences between the two might be taken as evidence that they are both testaments to the actual words spoken in court, but in fact that assumption crumbles once we realise that Xenophon is responding to Plato. Xenophon was not there in person; his account is simply a blend of Plato and a now-lost version by one Hermogenes, together with an incalculable amount of his own invention. It would be wonderful to have Socrates in his own words, but in truth he is lost to us. Although there is surely some of the historical Socrates in Plato and Xenophon, the more valuable evidence they offer is for the creation of a myth. The paradigm of the heroic individual who cheerfully faces death for her or his beliefs has exerted a powerful grip on history ever since, and offered a template for any number of heroically principled deaths. Herein lies the central critical problem with Socrates. He is, as a well known classicist once observed, like a ring doughnut: rich around the outside, but absent in the centre. What was he really like? What did he really think and teach? The problem is exacerbated by the fact that an earlier, but wholly contradictory picture survives, in the form of Aristophanes’ Clouds. Given that the play was originally produced in 423 (and revised for reperformance at some point in the next 6 years), it is in fact the only substantial Socratic picture from his own lifetime. In the play, he appears as a blend of two different types of intellectual. The protagonist, Strepsiades, visits his ‘Thinktank’ (phrontistērion) because he wants to learn the art of rhetorical argumentation, how to make the weaker argument seem the stronger. Socrates excels at this, naturally. But he is also the model of a Presocratic cosmologist like Anaxagoras, theorising about the nature of the universe. Aristophanes has him worship the clouds of the title, and disbelieve in the existence of the Olympian deities. The Socrates of Plato and Xenophon is nothing like this; in fact, in Plato’s version of the defence speech, Socrates explicitly blames his public perception as a religious sceptic on Aristophanes’ play. Did, then, Aristophanes simply invent these traits? It is far from impossible: he was, after all, a comic writer, with all the licence that goes with that. Yet it is a striking fact that Aristophanes’ Socrates contains none of the traits visible in Xenophon’s account, and that of the early Plato: there he is primarily an ethical philosopher, whose primary interest is in discussing moral dilemmas with individuals. This disparity might lead us to ask whether there is not an element of artful construction in theirs too. Or perhaps over a career of some 25 years in the public eye as Athens’ best known philosopher, perhaps he changed course? Perhaps he started out as the Aristophanic cosmologist and sophist, and ended up at the ethical investigator? Most would agree that the picture of Socrates as an ethical philosopher, glimpsed dimly through Xenophon and Plato, is likely to be historically accurate, at least for his later years. But agreeing this does not resolve the wider problem, of how and why Xenophon and Plato have distorted that picture. The crucial point is that both of these composed in the aftermath of his trial and execution. As apologists for a man condemned as a state criminal, they were placed in a very difficult position, particularly in the matter of religion. Their central mission was, in different ways, to rescue their hero from the atheistic opprobrium poured on him by the state. This awkwardness is visible everywhere in the opening words of Xenophon’s Recollections of Socrates. Here Xenophon explicitly—and perhaps an element of protestation too much—rebuts the charge against Socrates, focusing on the accusation that he ‘does not recognise the gods that the city recognises’. How can this be, Xenophon wonders? He sacrificed regularly, and consulted oracles. Everyone knew this. He even claimed to be guided by a daimonion, a ‘divine thing’, which is hardly consistent with the idea of disbelieving in gods. What, then, is the problem? But there is indeed a problem, which Xenophon is sweeping under his finely woven Persian carpet. Socrates’ daimonion was not simply (as Xenophon suggests) a god like any other one in the city, but a personal connection to the divine that bypassed the processes of state religion. In democratic Athens that was an issue: it was tantamount to setting oneself above one’s peers, in religious terms. It is Plato more than Xenophon who is responsible for transforming the picture of Socrates. Almost all of his philosophical treatises come in the form of dialogues between Socrates and one or more others. In the early Plato, as in Xenophon, the apologetic project is never far from the surface. But while Xenophon tries to present him as a regular Athenian, in religious terms, Plato takes the bull by the horns. His Socrates is a pious one–but in a wholly new way, which threatens to subvert the very foundations of conventional Athenian religious sensibility. Euthyphro, a dialogue between Socrates and the self-proclaimed religious expert of the title, is one of Plato’s very earliest dialogues (perhaps even his earliest). It is set in the run-up to the trial, and the discussion is prompted by Euthyphro’s incredulity that Socrates of all people could be tried for impiety. The leads them into a discussion of the nature of piety and holiness. Euthyphro, it transpires, is being accused of unholiness by his own family, since he has decided to prosecute his own father for murder. The dialogue is really about unsettling Euthyphro’s over-confident belief that he knows what piety and holiness are. Time and again he tries to define these terms, and every time he fails when probed by Socrates. At the end of the dialogue he suddenly declares himself in a hurry and rushes off, leaving the discussion unresolved. In the context of the trial, the implication of the dialogue is that ‘piety’ is a much more complex field than most people, including Socrates’ accusers, realise—and so his conviction for impiety turns on a misapprehension. Socrates: At any rate tell us, Meletus, how do you say that I corrupt the young? Is it that you think it is obvious, according to the terms prosecution that you brought, that it is by teaching them “not to recognise the gods the state believes in, but other new divine powers instead”? Isn’t that how you say that I corrupt them with my teaching? Meletus: That is exactly what I say. Socrates: In that case, Meletus, do tell me (I beg you by these very gods that we are talking about!) to clarify the situation for both me and the jurors. For I do not understand: is it that you are saying that I teach people that there are indeed some gods, and the accusation is that they are not those of the city? (I can tell you I do recognise that there are gods, and I am not guilty of being an out-and-out atheist!) Or is it that you say I don’t recognise gods at all, and I teach this position to others? Meletus: The second option: that you do not recognise gods at all. Socrates: You are extraordinary, Meletus! Why do you say this? Do I not even recognise the sun or the moon as gods, as other people do? Meletus: No by Zeus, judges, he does not! He says that the sun is a stone and the moon made out of earth. Socrates: Do you think it is Anaxagoras you are accusing, my dear Meletus? Do you hold these men in such low esteem and think them so illiterate that they don’t realise that it is the books of Anaxagoras of Clazomenae that are full of that kind of statement? Do the young men learn such things from me, when they can sometimes buy them for a drachma (when the prices are high) in a corner of the marketplace and mock Socrates for passing them off as his own? Especially when they are so bizarre? Is that what you think of me, by Zeus? That I do not recognise the existence of any god? Meletus: No, by Zeus, you do not: not in the least. Socrates: You cannot be believed, Meletus. I am not even sure that you believe yourself. Men of Athens, this man seems to me to be altogether aggressive and impulsive, and to have brought this accusation simply out of aggression, impulsiveness and youthful naivety. This is essentially the same argument as Xenophon’s: that it is contradictory both to claim that he is an atheist and to argue that he believes in the daimonion, which is a form of divinity. As in Xenophon, there is an underlying flaw in the reasoning: the daimonion may be an altogether different kind of divinity to the gods of the city. Socrates may well be a kind of atheist, if his conception of deity is so radically different to anyone else’s that no one else would recognise it as a deity at all. Meletus, at least as Plato portrays him in the ensuing exchange, was not bright enough to make that point. One modern philosopher, however, has done some of Meletus’ job for him, and argued that Plato’s Socrates was indeed guilty of a kind of impiety and deservedly convicted. According to Myles Burnyeat, Socrates in the Apology can be seen to reject entirely the idea of the gods as traditionally understood, the individual gods of cult, and to replace them instead with an alternative ‘theology’ that had but one law: humans are obliged to question the world around them, search out their own moral codes, and live by them. Socrates was famously the subject of an oracle issued by Delphi, which named him the wisest of all men. In the Apology his interpretation of this it offers him a divine mandate for questioning everything that he comes across. ‘Men of Athens’, he says, ‘I respect and love you, but I shall obey the god rather than you, and as long as I have breath and strength in me, I shall never stop philosophising or exhorting you or point things out to any one of you I meet’. Significantly, for the Socrates of early Plato, this included attacking their uninterrogated beliefs about the gods. In Euthyphro, he protests that his prosecution is all down to the fact that he refuses to accept all the baroque mythological stories about the gods’ immoral behaviour. This Socrates is still following in Presocratic footsteps, rejecting the epic conception of gods warring and cheating each other. But what is striking is that although he claims to have divine approval for his action, there is nothing intrinsically religious about it. It requires no worship, no acts of religious devotion: the only requirement is that the individual live her or his life in the most moral way possible. Socrates himself would probably not have understood it in this way, and Plato certainly would not have done so, but to all intents and purposes this is what we would now call a humanist ethics. Do not accept inherited wisdom about anything, question everything, live only according to principles you can justify rationally: in a sense Meletus was right about Socrates’ atheism. In his subsequent writings, however, Plato promotes an ever more powerful metaphysical agenda. In the dialogues of the middle period, Socrates is found proposing a new theory of ‘forms’, which are otherworldly, abstract distillations of all of the things that we witness with our senses in the world around us. We may see or touch many individual examples of a chair, for example, but the form of the chair—the specific quality that makes each one of them a chair, and not a bench or a table—is something we can only grasp with our mind. The same goes for moral attributes: we may be able to point to individual things or people that are (for example) beautiful or just, but to understand the quality that unites all of them and makes them beautiful or just we need to seek the abstract form of beauty or justice. This concern seems to have grown directly out of the Socratic method. In his early phase, Plato typically represents Socrates, usually, as demanding definitions. What is piety, he asks Euthyphro? What is courage, he asks Laches? Typically, his interlocutors answer initially with individual examples: so, for example, one of his victims, Laches, answers that ‘courage’ consists in ‘not running away in battle’. But, Socrates observes, that is simply an individual instance of courage. There are other types of courage that are not captured by that definition (we might think of telling one’s parents about one’s sexuality, for example, or confronting a bullying partner). These early dialogues tend to end in aporia, in the failure to reach any definitional resolution. This Socratic aporia seems to have spurred the middle-period Plato on, so that he developed a theory of abstract, otherworldly ‘forms’ that can be accessed only by philosophical inquiry. To understand what courage is, we need to stop considering all of the individual examples, and imagine what courage is in and of itself. That is the ‘form’ of courage, the master definition that encompasses all particular manifestations of it. What does this have to do with metaphysics? Plato had by this stage begun to correlate this distinction between particular instance and abstract form with a distinction between the mundane and the supernatural. The form of courage exists not in this world, but in a higher plane, accessible only to the mind. Socrates’s search for definitions had now metamorphosed into a theory that dividing existence into two realms, our day-to-day environment and the higher realm of the forms. Plato built on this distinction, arguing that the world as we perceive it is a mere reflection of the truth, which is embodied in the forms. The famous cave analogy of The Republic makes exactly this point. The inhabitants of the cave believe that they can see reality, but in fact all they see are shadows projected onto the rock face; it is only the philosopher who can exit from the cave into the light of the sun, and grasp reality for what it is. We need to journey intellectually beyond this world, the world of individual things perceived by our senses, and ascend into the sphere of pure thought. Around this time Plato also develops his theory of the immortal soul. His dialogue Phaedo, set on Socrates’ last day, argues for a kinship between the soul and the forms. On death, the souls of the virtuous are permanently released from the confines of the body, whereas those that are beholden to bodily pleasures are condemned to reincarnation. These theories depend on a series of parallel oppositions: body/soul, matter/spirit, this world/the next, senses/mind, particulars/forms. Whereas the Socrates of the early Platonic dialogues had thought it his mission to live a virtuous life in this world, the later Socrates puts the emphasis on escaping from it into a pure, transcendent realm of the soul, free from bodily impurity. There is nothing specifically god-like about the forms, but they do point to mid-period Plato’s emphasis on the otherworldly and the spiritual—something that is barely visible in the early-period Socrates. But the divine reappears in spectacular form in Timaeus, a late dialogue that argues for a divine creator god that he calls the demiurge (or ‘craftsman’). Timaeus is by some distance the most theistic of Plato’s dialogues—and it is no coincidence that it was the only one of his works that was read continuously throughout late antiquity and the mediaeval period. Here Plato takes the cosmic god of the Presocratics and transforms him into an active, designing, anthropomorphic deity. The demiurge forged the universe in a perfect, orderly way, with every element fitting together harmoniously. He created the celestial bodies, the world, the gods, time, animal life and a superior race of human beings. Each human soul is paired with a star. If a man lives ethically, on death he returns to his star; but if not he is reborn as a woman (!). 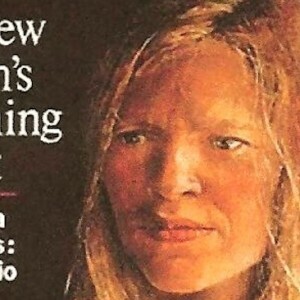 A badly behaved woman is then reincarnated as an animal. The Timaeus finally ties together all the various strands of Plato’s thought into one theistic whole. His intellectual journey, which began with the project to rehabilitate an atheist, ends here: with god. … But the journey was not, in fact, quite ended. At the very end of his life, Plato returned to the traumatic topic of atheism. His very last work, The Laws, is an unusual work, a dialogue that—exceptionally—does not feature Socrates at all. The participants are an unnamed Athenian stranger (the central figure, who dominates the discussion), a Spartan called Megillos and a Cretan Clinias. Their discussion is protracted and wideranging—this is Plato’s longest work, and it rambles somewhat—and deals with the question of what laws are to be established in the new Cretan colony that Clinias has been tasked with overseeing. The Laws is a companion piece to The Republic, Plato’s mid-period analysis of the ideal, utopian city, but it is much more focused on the realities of law-making. The Republic described an ideal, utopian state; The Laws, by contrast, will offer a pragmatic second-best. Among the areas requiring legislation is theology. The tenth book is devoted to precisely this question, and Plato here develops some of his most important and worked-out ideas about the nature of deity, and in particular focuses on proofs that gods exist. These take two forms. The first is a cosmological one. The regular motions of the heavenly bodies demonstrate that a divine hand is at work. Anything that moves must have something that animates it, the Athenian supposes. In the case of living beings, that is the soul. In the case of the heavens, that is god. The second argument is a moral one: if we do not accept that humans have share in the divine, in the form of our souls, then we cannot aspire to moral perfection that is the property of the gods alone. These are not just philosophical arguments; they are also justifications for the legal repression of atheism. The Athenian pitches his arguments in response to ‘certain clever moderns’, some ‘young men’ who hold disreputable views about the gods. There are, he claims, three types of position that such people hold: either they hold that the gods do not exist; or that, if they do, they have no involvement in the affairs of humans, or that they do, but they are easily swayed by sacrifices and prayers. Is he talking about a real community? Does he mean that there was a sizeable movement among the young in Athens who held such beliefs? One respected scholar has argued exactly this: that there was an ‘atheist underground’ at Athens, on which Plato is here shining a light. He may well be right. But the primary target of this designedly non-specific attack is, surely, the phantoms that have haunted Plato ever since the trial of Socrates. Book 10 of The Laws is ultimately about disavowing all traces of philosophy’s origins in (real or perceived) atheism. Instilling belief in the gods, the Athenian insists, is absolutely essential to the functioning of a just society. Therefore, there must be penalties laid down against anyone who insults the gods, ‘either in deed or in word’. The qualification ‘or in word’ is striking, and reactivates memories of Diopeithes’ decree, almost 100 years earlier, which had come up with the revolutionary stipulation that piety consisted in proper belief as well as proper action. Paradoxically, the Athenian stranger ends up parroting precisely the legislation that had done for Socrates. Plato seems to be victim to a kind of intellectual Stockholm Syndrome: having spent so long psychologically trapped by the traumatic effects of Socrates’ unjust execution for supposed impiety, he ended up designing a state that cannot tolerate anything other than one type of religious orthodoxy, and punished disbelievers. Abuse, as they say, begets abuse. Plato laid the ground-rules for Greek philosophy, and his theistic swerve towards the end of his life had a major influence. For the Stoics, the Timaeus’ model of cosmic design was the proof-text. The Christian fathers, too, expended much energy on blending the Platonic and Judaeo-Christian metaphysics and creationism. It is no exaggeration to say that the design-based arguments for the existence of God that proliferate even now were stabilised by Plato. And yet the execution of Socrates for ‘not recognising the gods of the city’ is an integral part of that story of how Plato came to that position. Before Plato’s theism there was Socrates’ playfully subversive humanism: based, to be sure, in a sort of divine revelation, but its ultimate message was that you make your own principles and you live by them. 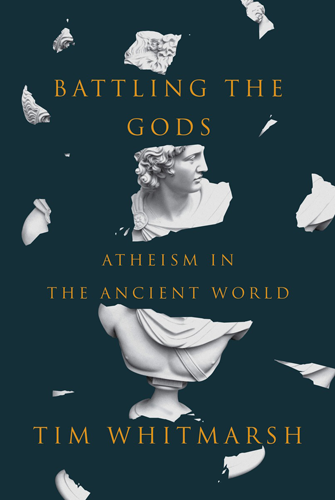 From BATTLING THE GODS: ATHEISM IN THE ANCIENT WORLD. Used with permission of Knopf. Copyright © 2015 by Tim Whitmarsh.